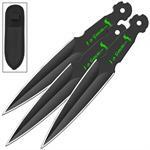 Knives Deal brings you the best throwing knives that will let you engage in a thrilling game of knife throwing. You would have never played such exciting game before. Throw the knives on the specified target to express your skills as a thrower. 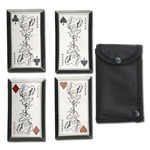 We have specially designed knives for throwing purposes. 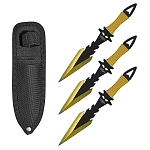 If you are interested in playing this sport, get to our collection of throwing knives, and buy some for you! 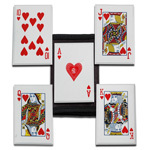 The art of throwing knives was mostly displayed in circuses or shows at local fairs in earlier times. But today this sport has gained a lot of popularity and people practice this art more than ever. 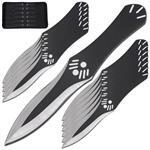 So, if you are fascinated by the art of throwing knives and want to master this skill, then you have come to the right page. Knife throwing has always been one of the most favourite and popular show for people. This play is always accompanied by excitement that buzzes through the air and have people’s goosebumps raised.  The fans of this fascinating sport have increased over the years. However, selecting the best and reliable throwing knives is the first step to becoming a true marksman and that’s where we come in. 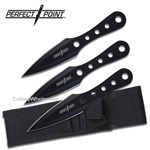 At Knives Deal, we stock the most durable throwing knives for you! 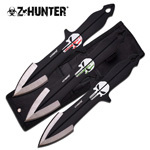 Best Throwing Knives to Test Your Throwing Skills! If you want to know how capable are you as a knife thrower, get our knives and start throwing them on the target. 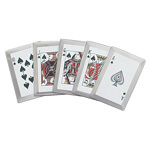 Examine your throwing accuracy, however, we ensure that our knives will offer maximum throwing precision. 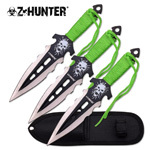 So, buy some throwing knives from us and guarantee yourself a win in the competition! 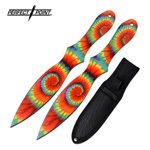 While producing our throwing knives, we ensure the maintenance of effective production protocols designed to churn out only throwing knives of superior quality at beyond reasonable prices. 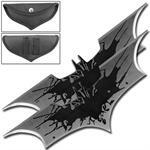 We at Knives Deal can confidently tell you that our throwing knives for sale are the best! Hence, don’t settle for anything less than the best. 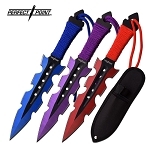 Purchase our highest quality knives to get involved in what is the most thrilling sport nowadays! 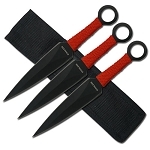 At Knives Deal, we provide you the original and best throwing knives which are quite different from regular knives. Our throwing knives have stainless steel blades with blunt edges for additional safety. Their fine points will allow deep penetration into the hardest of woods. 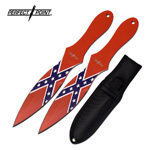 The blades of our throwing knives are hard and reliable. 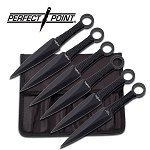 Our throwing knives are well balanced and stable to help them fly easily through the air and hit the target. 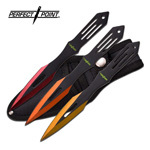 The coolest thing about our throwing knives is that they are the cheapest in the market. Do a comparison yourself to identify the huge difference between our prices compared to market rates. 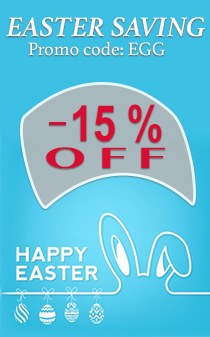 We make sure you purchase quality even when you are on a budget! 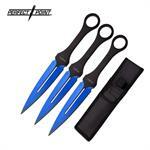 So, order your desired set of throwing knives, and get the order shipped to your door the next day. 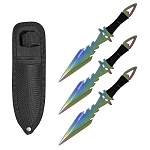 Furthermore, get your shipping charges waived off by purchasing knives worth more than $99.